- a guide to the key events, legal and political issues related to the January 1985 disappearance in Chile of a U.S. citizen, Boris Weisfeiler. Gobierno de EE.UU. 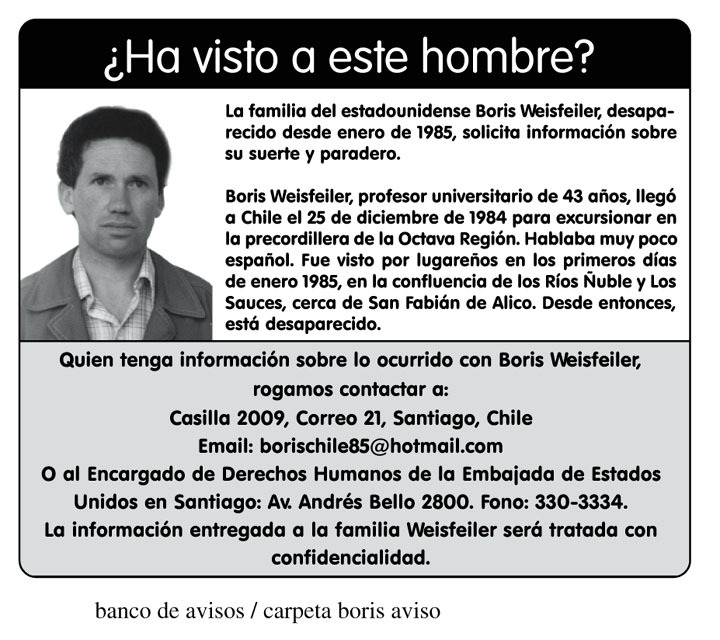 y fallo por caso de Boris Weisfeiler: "Es un revés frustrante"
LatinamericaPRESS.com on June 3, 2002. New York Times on May 19, 2002.